4 Beds 3 Baths 1 Partial Bath 2,298 Sq. ft. Contact Anita A McQueen, 620-727-5647 for appointment. 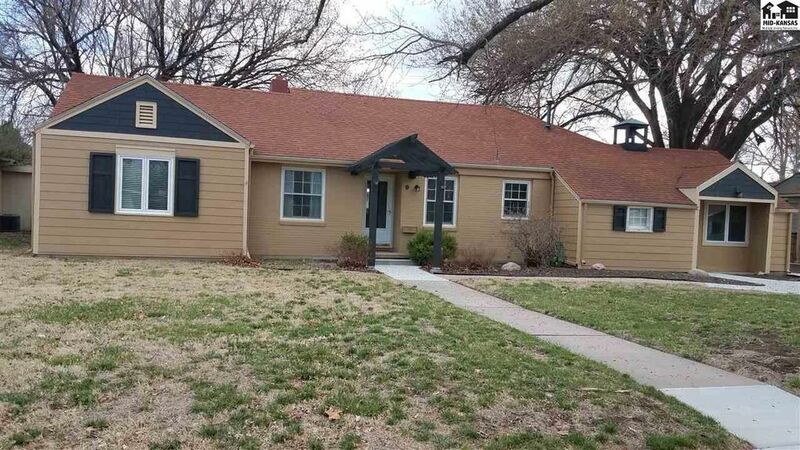 Move in ready Ranch, that is clean neat, comfortable, well kept, 4 Bedroom Home, 2 and 1/2Baths with crawl space and new concrete drive, walk area, & sidewalks, large family room, with 1/2 bath in area, open kitchen and living room area, includes wood burning fireplace, with gas log starter, in living room, and windows that share the beautiful back yard.Within walking distance to MORGAN SCHOOL. Home is close to shopping, recreation activities, & churches. 24 x 24 Garage with concrete entrance from 30th, electric overhead garage door, the 4th bedroom on West side was revision of once garage space, available with outside entrance, could be like mother in law quarter or office-with outside entrance. Over patio roof between home and garage, once had hot tub, so electric is there. From back yard concrete patio owners have watched fireworks at fairgrounds many years there. Yet privacy fence shields yard from others. There is a chain link fence pen on East side for dogs. Relax and enjoy your move in. Exterior painted in 2017. Directions: North end of Hutchinson on Main to 30th on across on Countryside turn left on Carlton 4 homes down on south side.